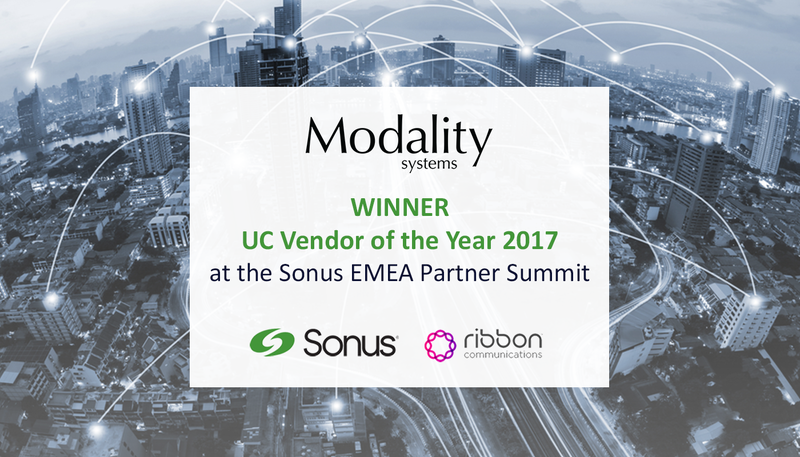 14 November 2017: Modality Systems, the world’s leading dedicated Skype for Business practice is delighted to announce they have won the award for Unified Communications (UC) Vendor of the Year at the Sonus EMEA Partner Summit. Held on 8 November 2017 at the NH Amsterdam Centre, Sonus’ EMEA Partner Summit is an event that highlights the growing opportunities for the partner community in meeting demand for real-time communications solutions, such as Microsoft Skype for Business. 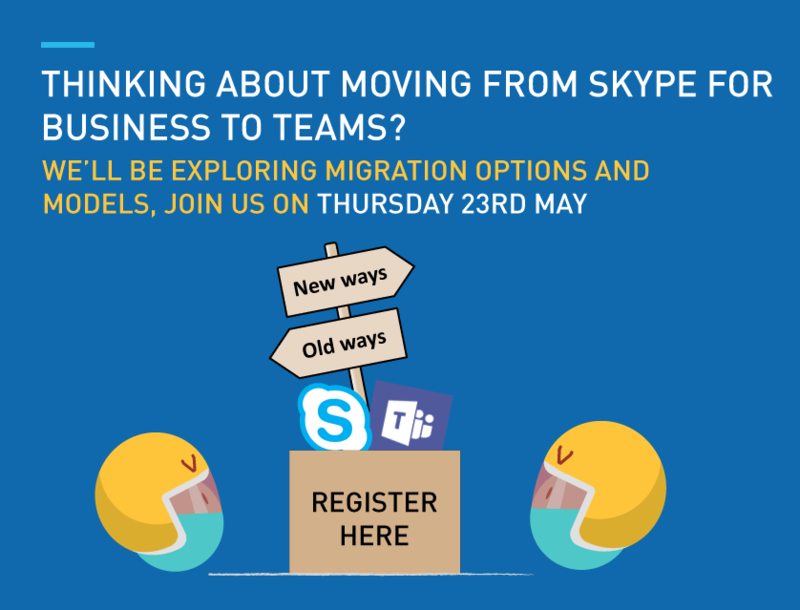 Having recently been recognised as Worldwide Microsoft Partner of the Year in Cloud Productivity as part of the Consortium, this achievement further positions Modality Systems as a world class partner for delivering digital change across multiple global industries. Now in their fifth year, these awards recognise partners who continually surpass the high standards required in the delivery of Microsoft based cloud communications and collaboration solutions, in conjunction with Sonus’ range of industry leading products that underpin a secure, robust and reliable UC environment. 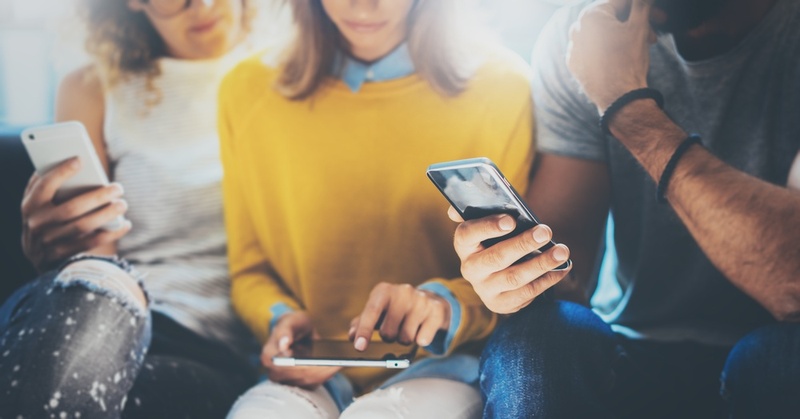 Modality Systems depth of knowledge in cloud technology, focus on enterprise communications, and vast experience of facilitating business transformation makes us a strong partner in the fast-paced digital world. 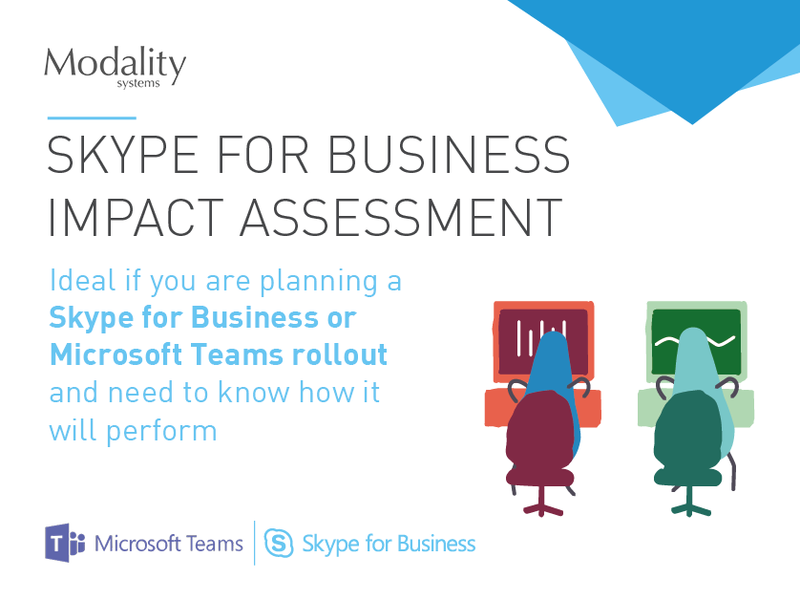 Modality Systems emphasis on empowering customers to embrace collaborative communications technology, together with an unparalleled expertise in delivering Cloud-first solutions for Unified Communications through the power of Skype for Business and Office 365, continue to deliver location flexibility and anytime anywhere working.